It seems that, despite an almost endless series of fad diets, as a nation, we do find it incredibly difficult to lose weight and keep it off for good. And apparently it’s even more difficult for women. Indeed, the latest UK government report on Obesity, Physical Activity and Diet for England, revealed that in 2011/12, almost three times as many women as men were admitted to hospital with a primary diagnosis of obesity. So, if you’re already dreading the summer because you’re worried about how you’ll look in your bikini, then it’s time to find a sensible diet that can help you lose weight quickly, yet in a healthy and sustainable way. According to the NHS, the key to weight loss success is in ‘making realistic changes to your diet and level of physical activity that can become a part of your daily routine.’ The superfood diet is very much aligned to this train of thought. The superfood diet advocates the gradual addition of nutritionally dense superfoods that have been scientifically linked to weight loss and a steady reduction of processed, convenience foods brimming with saturated fats and refined sugars. It might surprise you to learn that the Obesity, Physical Activity and Diet for England also revealed that purchases of fresh fruit have been on a downward trend since 2008, despite an increased availability of fresh produce in UK supermarkets. 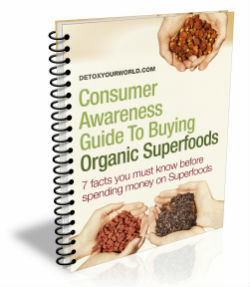 In addition to helping you lose weight quickly, the superfood diet can reverse this trend in your household. Below, you’ll find 4 powerful superfoods that will help you lose weight in just 2 weeks. Acai berry powder is prepared from Brazilian acai berries, which boast a low glycaemic index rating, contain extraordinarily low amounts of sugar for a fruit and are just bursting with wholesome nutrients that ensure you lose weight fast. For example, acai berries contain extremely high quantities of natural fibre and essential fatty acids that enable you to process food more quickly, reduce your sugar cravings and accelerate your metabolism. If you want to lose weight in 2 weeks then start by stirring organic acai berry powder into all of your favourite smoothies, shakes and juices. Many standard cooking oils contain unhealthy trans fats that will actively hinder your battle with the bulge. Simply replacing your usual cooking oil with fragrant coconut oil, which contains zero trans fats, sugars, carbohydrates or salts, yet plenty of healthy vegetable fats and triglycerides (which have been scientifically linked to a dramatic increase in metabolism) will allow you lose weight in just 2 weeks. For even faster weight loss results, try mixing one tablespoon of coconut oil in warm water and drinking on an empty stomach. No, you didn’t read it wrong – you really can lose weight in 2 weeks and still enjoy chocolate! That’s because raw chocolate contains no refined sugars or fattening dairy products and is packed with delicious raw cacao. And raw cacao contains a long list of beneficial weight loss ingredients such as fibre and essential fatty acids, as well as an important trace element called chromium, which is commonly used to control blood sugar levels in diabetic patients. Dr Richard Anderson, from the Human Nutrition Center of the US Department of Agriculture recently published several studies that show a strong link between chromium consumption and an increase in lean body weight and a decrease in body fat. Raw cacao contains magnesium too, which encourages your body to burn sugar as fuel instead of storing it as fat. If you want to lose weight in 2 weeks, then you need to ditch your regular chocolate treat in favour of a yummy raw chocolate bar. Green smoothies are currently extremely popular as they are a quick and delicious way to obtain a rapid intake of valuable nutrients. Low calorie spirulina powder is an ideal smoothie ingredient for those that want to lose weight quickly. Spirulina powder is comprised of between 65 and 71% readily digestible protein, a protein that is absorbed by your body up to four times faster than animal protein. Consuming this type of protein in combination with regular exercise helps you to build lean muscle mass and speed up your metabolism. In turn this encourages your body to burn fat and allows you to lose weight in 2 weeks without resorting to drastic measures. There’s no time like the present – order a delicious selection of fat-busting superfoods from Detox Your World today!